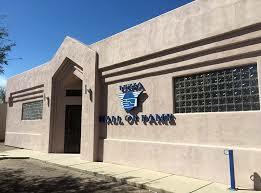 Tucson, AZ, WPH Press, 4/8/18– The USHA proudly hosted the 2018 Hall of Fame tournament at the Tucson Racquet Club on the second weekend in April, featuring R48 pros Abraham Montijo and Shorty Ruiz, WR48 standout Dr. Ashley Moler, and more than 60 amateur and junior players from Arizona and the Southwest. R48 #13 Shorty Ruiz is enjoying the best R48 season of his career, having climbed into the R48 top 13 after winning his first round of 16 match at the R48 7 Houston last month. 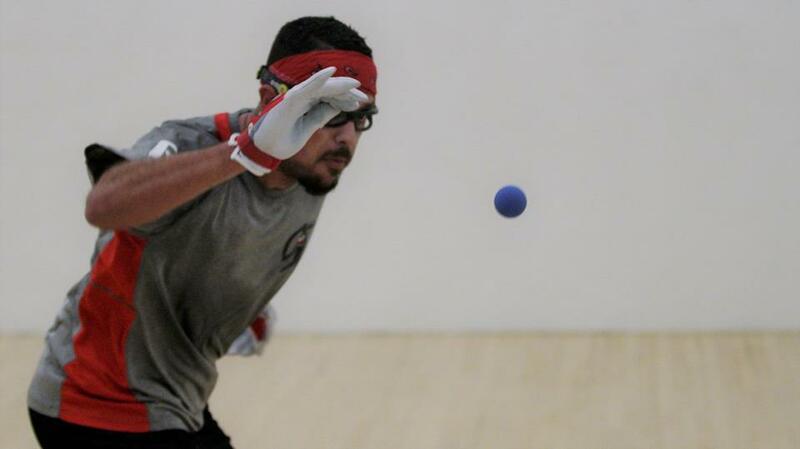 Ruiz entered the Hall of Fame event as the top seed and seeking his biggest 4-Wall singles title. Ruiz cruised to the final, dispatching Vinnie Natale in the semifinals. Tucson’s Abraham Montijo had qualified for four consecutive R48 events this season but came up short in Houston, falling in the qualifier final to end his streak of successful qualifier wins. Montijo entered the Hall of Fame as the #2 seed and met Ruiz in the final with a semifinal win against his FLF protégé Carlos Espinoza. 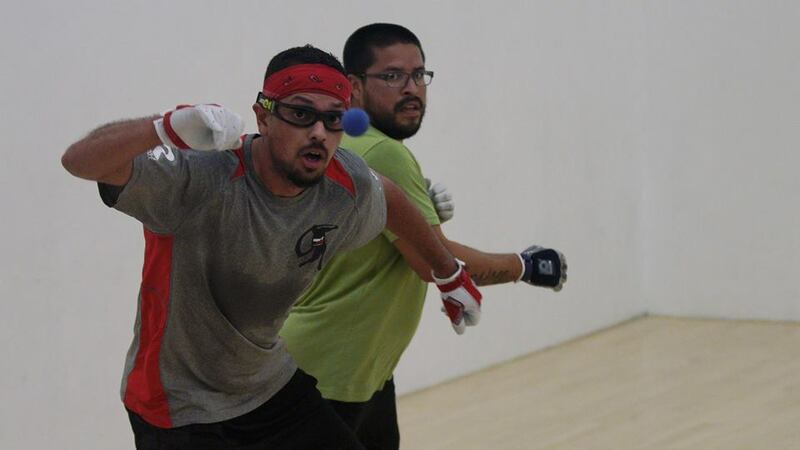 Montijo is well known at the Tucson Racquet Club for his outstanding play on league nights, regularly disposing of top pros in his comfort zone and earning him the moniker “Tuesday Night Abe” for his outstanding play. “We all know that Tuesday Night Abe is very, very tough,” declared Ruiz. Tuesday Night Abe and Ruiz teamed up to win the open doubles, giving Montijo the slam. WR48 #7 Dr. Ashley Moler continued her stellar season, defeating 1990’s Collegiate All-American Beth Blackstone in the women’s final. 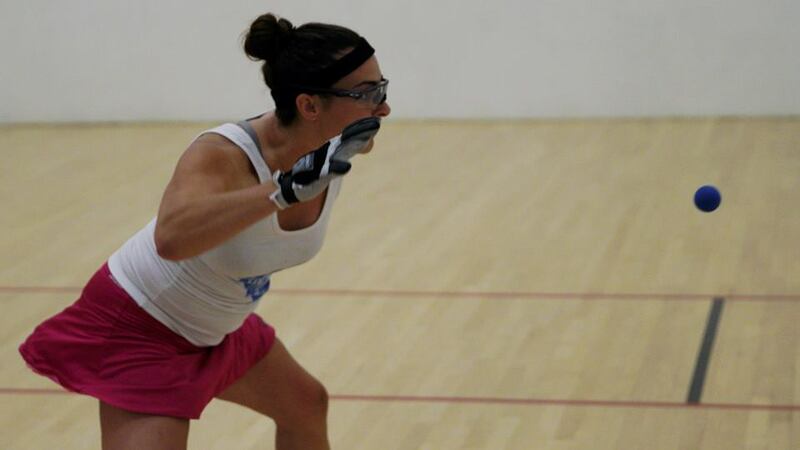 Moler utilized her tomahawk fist kills and passes to perfection in keeping Blackstone off-balance. Dr. Moler nearly completed the slam, but came up just short against Ivan Lugo in the A singles final. “This was a really well-run and fun tournament,” stated Tucson’ s “Commish” and clubhouse president Scott Cleveland. TUCSON, Ariz. — The 2018 Hall of Fame kicked off on Friday night as players throughout the region descended upon the Tucson Racquet Club. The USHA hosted a referee’s clinic where players reviewed the handball rule book and the application to officiating. All attendees left the clinic as certified Level One Referees. There were no surprises in the Men’s Open singles as top two seeds, Braulio Ruiz and Abraham Montijo will face-off in Sunday morning’s final. On Saturday, local 11-year-old phenom Ayden Brule (pictured) won the D Singles against 15-year-old Cameron Thompson. Both players are from the Fred Lewis Foundation for Youth Handball, which made an impressive showing at this year’s event. Players and families will gather this evening for the Celebration Banquet at the Hall of Fame Museum.